This entry was posted on Tuesday, August 16th, 2011 at 5:53 pm	and posted in Appetizers, Uncategorized. You can follow any responses to this entry through the RSS 2.0 feed. Yum…I knew I would get all your recipes one way or another!!! Congrats on your Blog. I am loving it! Thanks Heather! It has been fun so far. Be sure to share the link with your friends and you can also sign up for email updates on the right hand side of the blog. Hi Davela — came across your site and it’s really fantastic! By that I mean, it does a great job of providing step-by-step instructions and mouth-watering pics. Makes me want to head to the grocery store right now! Welcome to the blogging world–you’re definitely a yummy site to follow! Why thank you Delilah! It is always good to hear positive things about what I am doing. Be sure to let me know how my recipes turn out. I will be sure to post a link on my page for getskinnywithit as well! 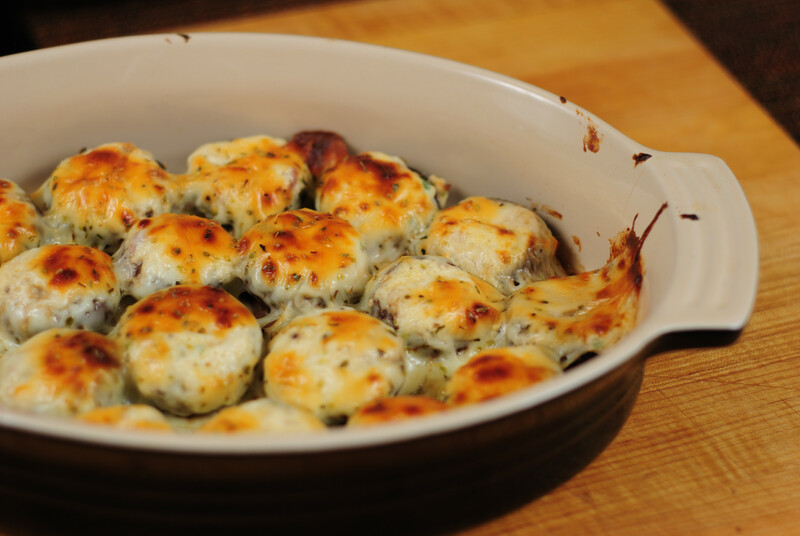 Stuffed Mushrooms | A Full Spoon of..